Recently I talked about the new Iridient developer coming out soon (HERE), well a public beta is out (DOWNLOAD HERE) and from first impressions it’s good, but needs a little more to make it function better. First thing I will say is it’s a bit difficult to use within Lightroom at the moment. (Read major edit below). TIP: Turn sharpening to “Low” in IXT for a more manageable DNG. You can add a LITTLE sharpening in LR to taste after that (NR too). Open in a new window to see full size. Grass has a lot less of the paint effect you get with LR. 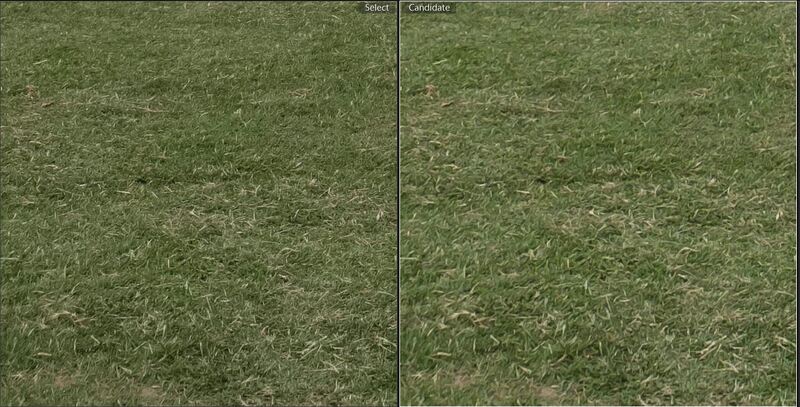 In the second one you can see that grass/foliage is MUCH better rendered than with LR. You don’t get that weird paint effect like you get with LR. So the program is in beta, so I won’t judge the interface issues too much until I get the final program. (If you read my “Major Edit” above, you’ll know I was the idiot here, while it’s a bit convoluted, I actually read the help file included with the program and now IXT functions the way I want it to). BUT the RESULTS are amazing and well worth the price I feel. P.S. the price for IXT is actually really reasonable. I do intend to buy when I can. However, at the moment I can’t even afford the $29.99usd asking price… once I get a bit of work and such I will definitely buy this product. I just tried it and it does show more details. Agree that it is too sharp at the default settings. Yeh I will be fiddling with different settings to see what sharpening default I like best. Thank you for sharing with us. I waited a long time for such software. I do not understand why you have to import .raf files in LR? I guess the IXT purpose is to convert a batch of RAFs and then import only the .dng files. So I do not get the point of a plugin. A plugin would let you quickly convert one file instead of waiting for a bunch to process. Of course IXT is great for batch processing as it is, but not so great if you just want to do one image. The grass example clearly show the “painting effect” of LR, but I also notice some “grainy effect” in Irridient when looking at a small portion of the image. => Blade of grass seems bigger than reality in LR and smaller than reality in Irridient. Yeh I agree there’s some sort of grainy effect with Iridient and I suspect if you turn down sharpening in settings it’ll be a bit better than default which seems a tad too strong (sharpening wise). Make the RAW file available for download so people can see for themselves if the painting effect is this worse with Lightroom. I have the feel there is a lot of marketing involved here. I am not defending LR here, but its not as worse as it used to be and the example shown may well or may not been on purposely look worse. Without the RAW file its impossible to check. I wish I were paid to market this, I need the money. Exactly what you say ‘as YOU can get them’. That doesn’t necessarily imply others can’t get better results. Make the RAW available so everybody can see for their own. You’re very free to go and download the demo and check it out using your OWN images dude. You don’t have to believe anything I say if you don’t want to, just go check it out for yourself. I wrote this post to try and help people, if you want to disbelieve the results, that’s certainly your prerogative. “He” wrote the article, so “he” can state and show whatever he wants. You are welcome to do your own testing. That grass example is dramatic, Stealthy. Very interesting. Everyone works differently, of course, but it seems to me that the most obvious workflow is to batch convert all the RAFs to DNGs before importing into LR. LR would only ever see the DNG files. But this assumes that you wouldn’t customize the settings of IXT on a per image basis; and that you wouldn’t switch between LR and ITX demosaicing on an image by image basis. I don’t know if that assumption is realistic or not. Well I dunno honestly. I feel the IXT processing is a bit strong at default, I’d have to try different settings to see if I can get one I’d be happy to batch process with. thanks for the tip, I gave it a try and I see great benefits of the X-transformer DNGs. One thing that held me back on pulling the trigger on the X-System (except for the X100T that i love!) 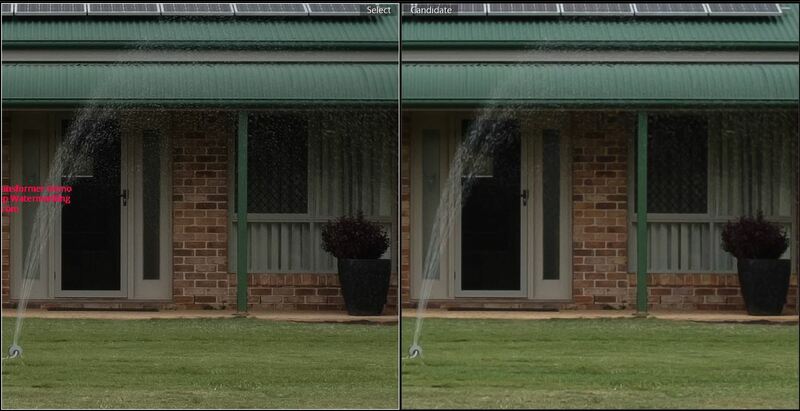 was lens size and soft images compared to regular Bayer (or Foveon…). Lens sizes is relatively easy with the new f/2 lenses. And now the soft images for windows user are solved as well! When comparing DNGs, I first waited for the Lightroom DNG previews to load until I realized, the softness was for real! Here is a comparison. No sharpening or NR in lightroom. X-Transformer settings shown in the image. When I had doubt investing in the Fuji X System because of the kind of soft images, I don’t have it no more! Yay! Yeh I never was 100% satisfied with LR I think (especially for landscapes). But with IXT I am quite happy. Great review, I’ve a quick test the IXT too today and find the default sharpening settings are way too strong, however it seems it bring back much more details compare to raf in lightroom only. Will have a longer and deeper test when I have the time.